Arugula, Radish and Green Bean Salad. 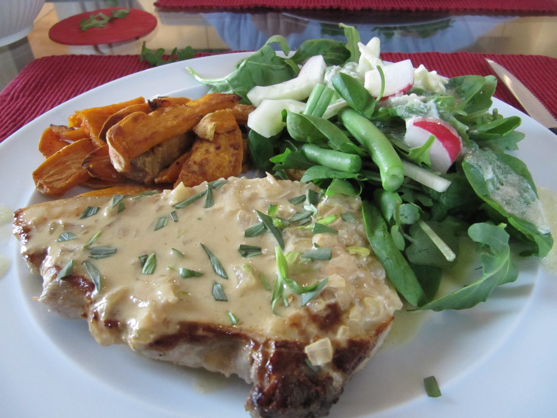 Pork chop and salad recipes are from Dinner Tonight: Done!, by Real Simple magazine. 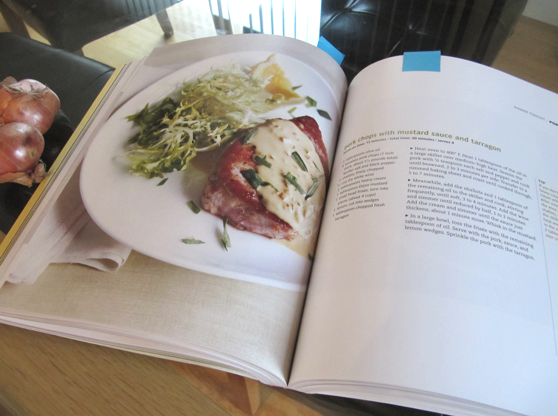 I love a cookbook with big photos. The mustard sauce was such an easy way to dress up the pork chops. The only ingredients needed are dijon mustard, dry white wine, shallots, sour cream, salt and pepper. What sauces or marinades do you like to use to dress up chicken, beef or pork?